Pittsburgh Community Broadcasting Corporation (PCBC) is seeking an experienced Engineer to join the Technical and Operations groups for 90.5 WESA and 91.3 WYEP. Reporting to the Operations Manager, this individual will split their time between technical engineering and production engineering functions. In the technical area, this individual will work closely with the Director of Engineering in planning, installing and maintaining the enterprises broadcast, production and RF systems; they will also be the primary backup to the Director of Engineering. In the production area, this individual will operate studio and remote broadcast equipment in production and live broadcast settings. This individual may also be called upon to assist the IT Manager, as required, in maintenance of computers and IT infrastructure, and the Director of Finance in issues related to building maintenance and security. This individual will be a true "jack of all trades" - extremely resourceful and adaptable. Candidates should have a broad base of knowledge and experience with broadcast and production equipment and systems. She/he should have depth in both operating and maintaining such equipment. As the primary backup to the Director of Engineering she/he must be prepared to be on-call to address technical and production demands on short notice. This individual must be able to operate independently as a single point of contact for IT related matters. This individual should be able to diagnose and resolve technical, operational and production issues quickly and calmly, and should have the patience to communicate with a variety of interdisciplinary teams and users with varying levels of experience. The nature of our business, and of this position, is 24/7. This individual will be on call at all times to assist with both the planned and the unforeseen technical requirements of the organization. Work with the Director of Engineering to plan, prioritize and ensure efficient technical operations and functions of the station and to ensure operational readiness. Transmission: Install, inspect, repair, and maintain broadcast equipment, antenna systems, satellite downlinks, STL systems, and all other RF-related systems. systems and other related equipment. Ensure equipment performance meets industry standards coupled with good engineering practices. Ensure technical operations always comply with applicable state and federal regulations. Enforce technical, production and computing policies and procedures. Sound system set up and operations for live events at PCBC. Sound system set up and operations for remote events. Set up and board operations for PCBC studio rentals including ISDN and Comrex connections. Bachelor's Degree in a technical discipline, trade school, military or direct experience preferred. Minimum of 5 years broadcast operations and engineering experience; breadth of experience and versatility is essential. Strong team player with a commitment to relationship-building along with strong verbal and written communication skills to interact effectively with all employees at varying levels of technical and operational proficiency. Knowledge and proficiency in Microsoft Office and other operating systems. Working knowledge of HVAC and facility management. Understanding of and passion for the mission of Pittsburgh Community Broadcasting Corporation. May require the climbing of ladders and working on elevated surfaces. Good manual dexterity for soldering and use of hand or power tools. Able to stand, walk, crouch and reach while performing the duties of this job. Able to travel to transmitter sites at remote locations. PCBC is an independent, locally owned community-supported public media organization. 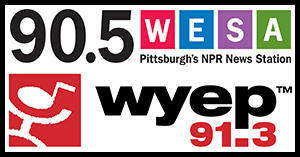 PCBC is home to Pittsburgh’s NPR News station, 90.5 WESA, and 91.3 WYEP, serving Pittsburgh and the surrounding communities of Western Pennsylvania. PCBC serves the more than 2 million residents of Pittsburgh and its surrounding communities by leveraging the power of media to inform, inspire and entertain. We engage audiences and cultivate conversations that strengthen, enrich and improve the communities we serve. In addition to radio programming, both stations play an active role in engaging the community through online and mobile services and in-person events, and have a prominent voice in Pittsburgh’s civic and cultural affairs. Each week more than 200,000 Southwestern Pennsylvanians listen to PCBC broadcasts and tens of thousands more engage with our content through our websites and mobile digital services. Pittsburgh Community Broadcasting Corporation offers a competitive salary and an excellent benefits package that includes medical insurance, paid medical leave, 403(b) plan with matching contributions, paid vacation and holidays and a workplace culture that is fun, diverse and innovative. This position is available immediately, and the search for candidates may be terminated without notice. No phone calls, please. Applicants are invited to send a cover letter, a detailed resume highlighting your specific qualifications to hr@pittsburghcommunitybroadcasting.org. In your email, please include your salary requirements and let us know how you heard about the position. Pittsburgh Community Broadcasting Corporation is committed to creating a diverse environment and is proud to be an Equal Opportunity Employer. All qualified applicants will receive consideration for employment without regard to race, color, religion, gender, gender identity or expression, sexual orientation, national origin, genetics, disability, age, or veteran status.